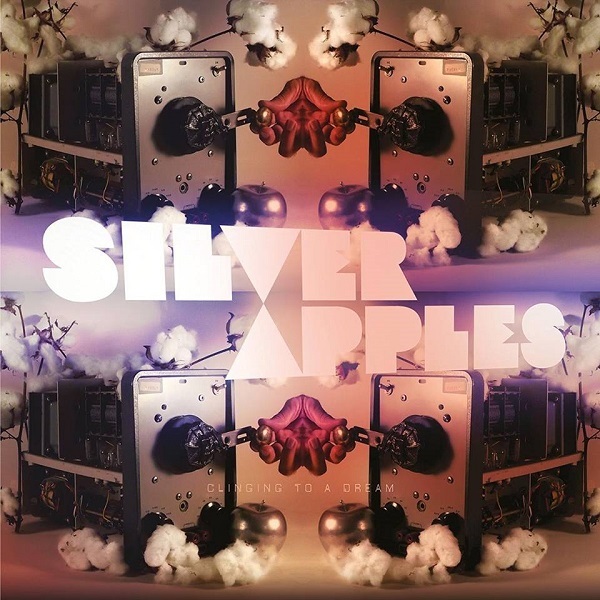 Who would have thought that in 1996, 26 years after their seond album, Contact, hit the cutout bins, that proto-electronic band Silver Apples would reactivate? But indeed it happened. Original drummer Dan Taylor, unbeknownst to Simeon, was working in construction and nowhere to be found at the time, so Simeon resurrected his oscillators and controls and teamed up with keyboardist / drummer Xian Hawkins in 1996 to test the waters again with the 45 RPM single “Fractal Flow / Lovefingers.” Within a year Silver Apples had become a trio with the addition of drummer Michael Lerner, and thus began a very productive period for the band, with the release of Beacon in 1997, Decatur a year later, collaborations with The Alchemysts and Spectrum — rumor has it there’s even a shelved album recorded with another drummer just prior to Dan Taylor reuniting with Simeon and rejoining the band, bringing with him the lost recordings for the band’s third album that was recorded and shelved back in ’69, and ading some new material to flesh it out, it was released as The Garden in 1998. When Taylor passed away in 2005, Simeon continued on as a solo act, using programmed drum samples, and a few 45 RPM releases (mostly live) have surfaced between 2007 and 2014, which brings us to Clinging to a Dream, the first new full length studio release since 1999, featuring only Simeon with some guests on a track-by-track basis. In general, the album has a very dreamy feel that’s unlike any before it, the swirling and pulsing electronic melodies together with the electronic drums and effected and whispered voices make it quite different, perhaps more gentle and soothing, while still retaining all of the eccentricity. I’m sometimes reminded of The Residents in the pre-Eskimo period in the 70s. For the first time “Fractal Flow” appears on a full length album, though in a newly re-recorded version. “Missin You” and “The Edge of Wonder” (two versions of the latter) have also appeared previously on singles, but aside from those, the remaining cuts are all new material – thirteen tracks in all. Like all Silver Apples albums before it, the listener is in for something very unusual. Approach with an open mind.